Secretary of State John Kerry drew a quick rebuttal from the State Department Thursday after he implied the U.S. has a specific timeline in mind for ending the drone program in Pakistan. Kerry made the comments in an interview with a local Pakistani television station during his first visit to the country as secretary. He said the White House believes its controversial drone program is on a “good track” in the country, and may not be necessary in the future. “I think the program will end as we have eliminated most of the threat and continue to eliminate it,” Kerry said. Kerry’s comments seemed to directly contradict those made by Obama in May, in which the president said the CIA’s drone program will continue specifically in Pakistan indefinitely. The State Department said in a press briefing Thursday that there has been no change in policy on the drone strikes, and that there is no timeline for ending them any time soon. The department added that although the U.S. would like to end the strikes eventually, that would depend on the situation on the ground. 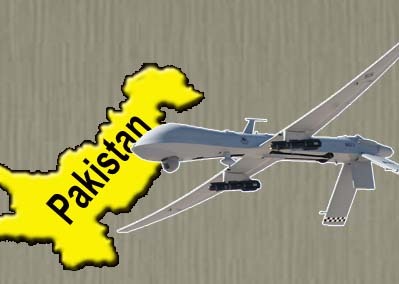 Pakistani officials have been angry about U.S. drone strikes against suspected militants in Pakistan, claiming they violate their sovereignty. They used Kerry’s visit to press the U.S. to stop the drone attacks. On Friday, Kerry is scheduled to fly to London to meet with United Arab Emirates Foreign Minister Abdullah bin Zayed Al-Nahyan to discuss Egypt, Syria and Middle East peace. Posted on August 2, 2013, in Aviation, Geo-Politics. Bookmark the permalink. Leave a comment.